We left Goolwa at the usual time of 10am. It was quite overcast and was threatening to rain. It was a lot more comfortable to ride in then last week when it was 37c. Today was around 25c and I don’t mind the rain. In the end we only got a small sprinkle of rain. Must be frustrating for the farmers. Everything is dried right off from the unusually high temperatures and the wind. 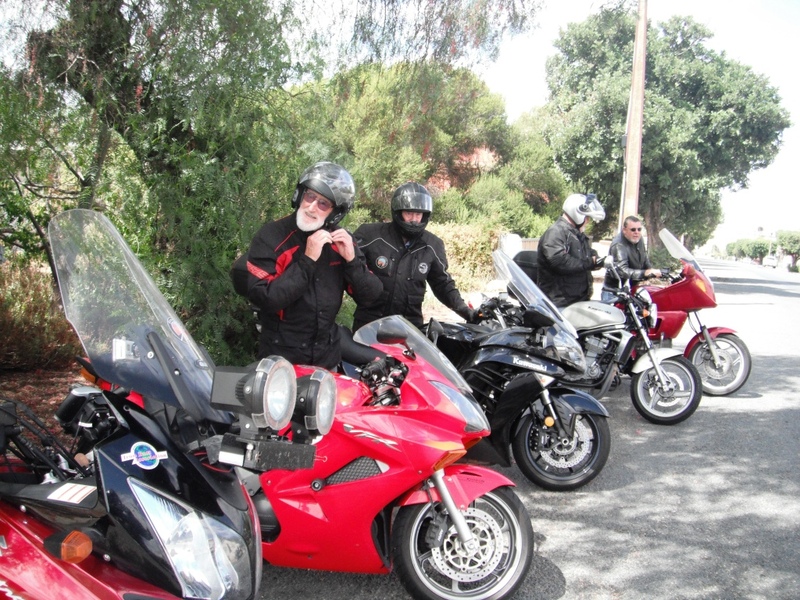 We rode from Goolwa to Nairne via Ashborne, Strathalbyn and Callington. 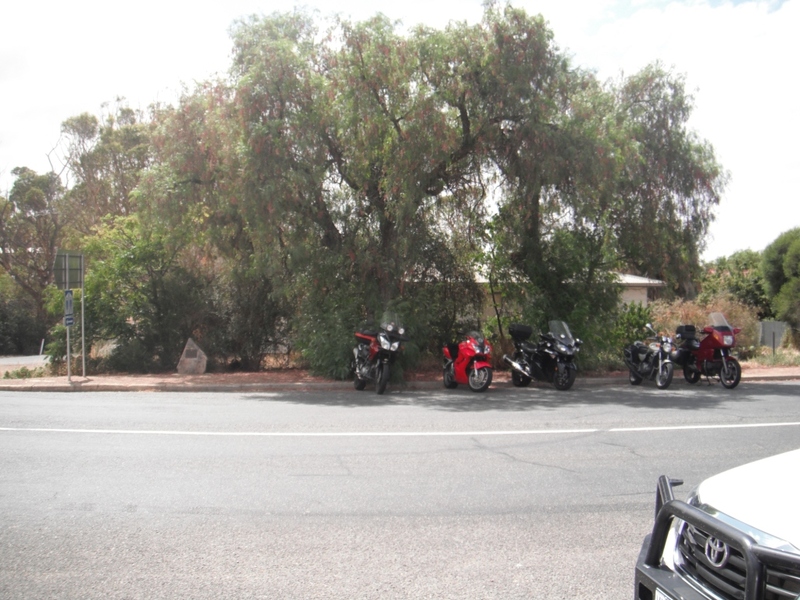 We stopped at Nairne for Coffee and out of 11 starters 9 decided to ride on for lunch. 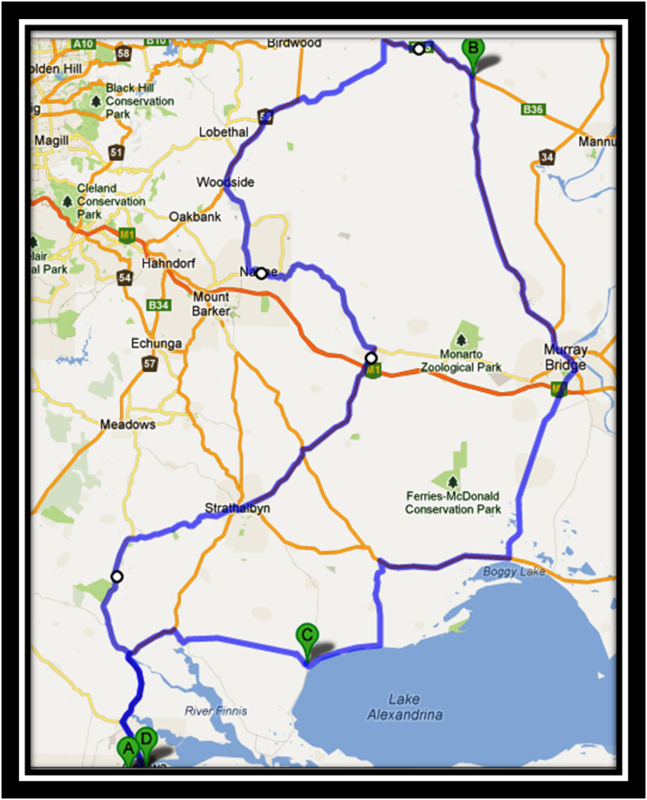 The other 2 had other commitments and had to return to Goolwa. So we left Nairne and headed up through the Adelaide hills to Palmer where we were to have lunch. It was a nice ride up there and the traffic was unusually quiet, in fact we met no trucks in this section at all. 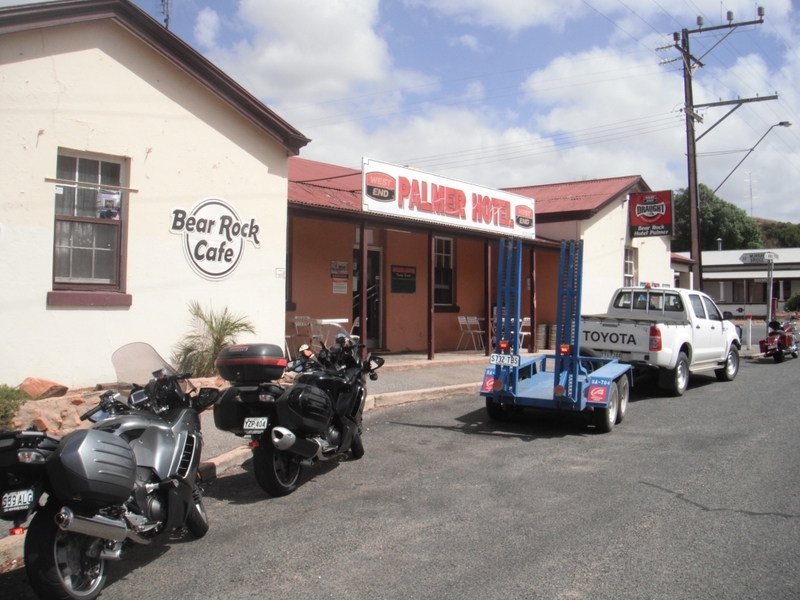 We arrived at the pub at Palmer at about 12:30. I Noticed a rock that had been white washed while we were riding down into Palmer about 5 km short. It now made sense as the rock did resemble a bears head. Hence the Bear Rock Cafe. We went into the pub to order our meals and the poor lady behind the bar was running the pub on her own until her husband returned from town which she thought would be about an hours time. So after getting our meal orders and drinks she left us to our selves while she went to cook our meals. She was grateful when her husband turned up within about 10 minutes to lend a hand. The meals were good value. I had a half serve of steak, salad and chips for $10.50. I was glad I had ordered the half serve as it was still a big meal. The group themselves are maybe an average age of 65-70. I’m the youngest at 51. So my best guess at the combined years of experience around the table for lunch was more then 500 years. Well you could tell this by the amount of story telling around the table. It was quite entertaining listening to them. We enjoyed our meals and left to return to Goolwa. The 2 riders closest are Ian (84yrs young) and Don (81yrs young) Listening to these 2 and their yarns is great. 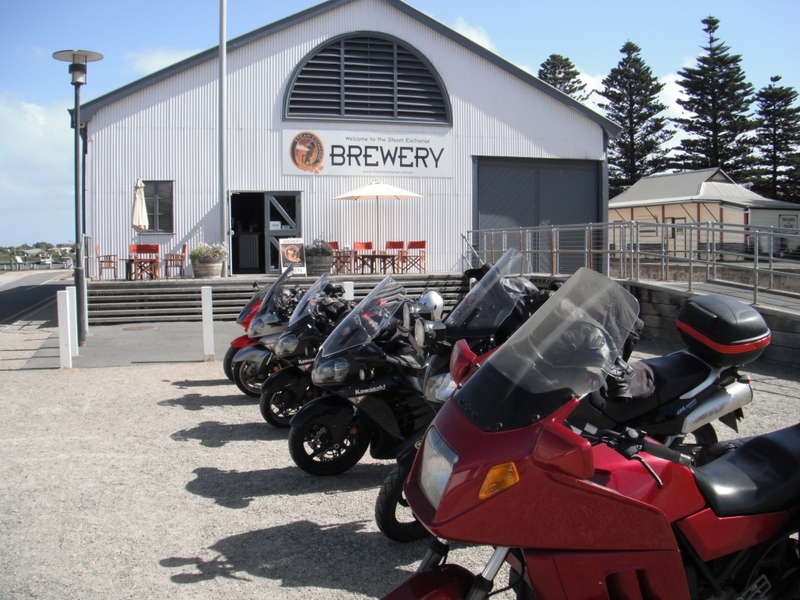 They had decided to go to the Local Brewery at Goolwa to have a quenching ale. They also serve a nice Coffee which I opted for. The Brewery is quite the tourist attraction also. 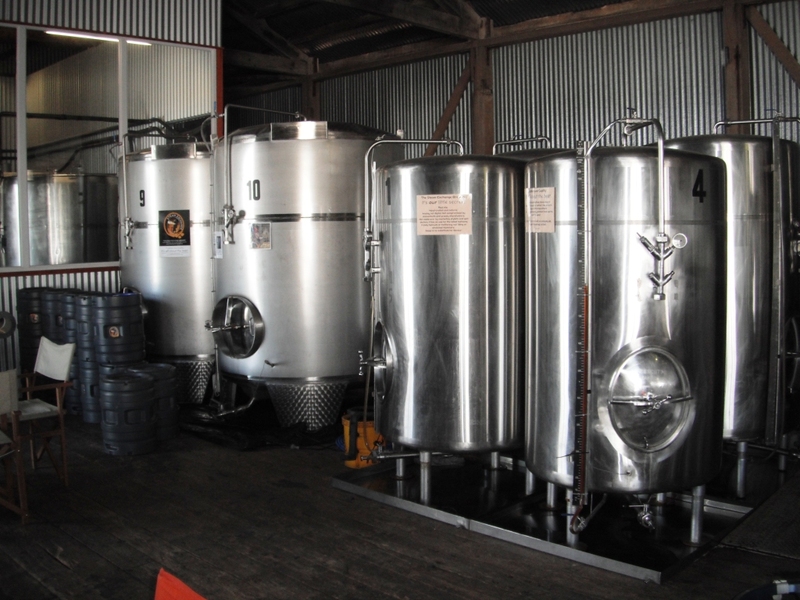 While I believe it is called a Micro Brewery I think their production out of here is quite high for that title. I didn’t hang around to long as these gent tend to get settled in. It was a fun ride. The weather was okay although a bit windy. The other blokes in the group are real characters and an enjoyable bunch to ride with. As much as I would have liked to have come along for the ride, what I would have loved would be to have a seat at that table hearing their stories. Thanks for posting. I enjoyed it. Before I left this lot to go home one of their wive’s arrived and sat next to me (being the newby) I was amused by her question “don’t you feel a little out of place riding with old men” 🙂 . I replied that I didn’t mind at all and in fact I was hoping to get adopted. That received a few laughs. The stories are good to listen to and I plan to ride with them tomorrow again.